November is a great month to create art with your family and friends! And why not involve a little nature walk too? Whether it's collecting rocks and painting them, or finding twigs and wrapping them in yarn, nature provides many free art supplies all around us. Although my family lives in California, it's still possible to find some fallen twigs and leaves -- sometimes on the ground, and always at Michaels. LOL! 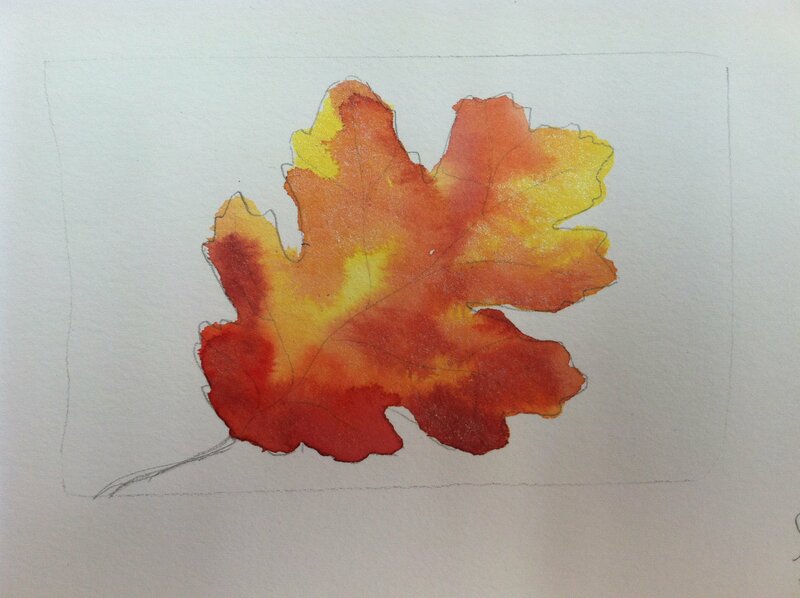 Tracing silk leaves on watercolor paper and painting them is always one of my favorite ways to welcome in Fall! You can read more about it from our blog post a few years ago. When I first start sharing this art exercise at nonprofit organizations, I wanted to make the project more meaningful by having them choose colors to reflect changes in their lives -- both the good and challenging. The contrast of the colors is what made the leaves so beautiful! We started to see the dark veins of black and purple (hard changes from our past) as necessary components to the art of our lives. Surprisingly, we LOVED the black color the most. And after painting our first leaf, we found ourselves all wanting to add a little bit of black to other leaves we painted! Here's a video that shows my family painting Leaves of Change. I hope you take the time to walk a little in nature, count some blessings, create some art -- and have a wonderful Thanksgiving holiday with your loved ones.